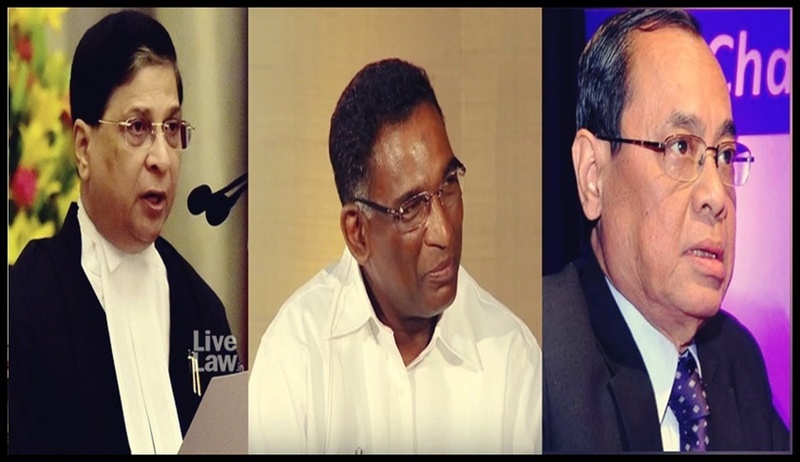 Breaking away from tradition, the Supreme Court Collegium recently "interacted" with candidates before recommending their elevation to two High Courts. The Collegium, comprising Chief Justice of India Dipak Misra, Justice J. Chelameswar and Justice Ranjan Gogoi, was considering candidature of seven Advocates for appointment to Calcutta High Court. As per the minutes of meeting dated 26 March, "For purpose of assessing merit and suitability of the above-named recommendees for elevation to the High Court, we have carefully scrutinized the material placed in the file which includes the views of the Chief Minister as forwarded by the Governor for the State of West Bengal, report/s of the Intelligence Bureau, the age, income, reported/unreported judgments in respect of all the recommendees as well as the observations made by the Department of Justice in the file. It then recommended five out of the seven Advocates, while noting that it needed more information for considering the suitability of another one. The collegium adopted a similar procedure while considering candidates for elevation to Madhya Pradesh High Court as well. This is a significant development, considering that the mechanism of appointment of Judges has often been marred with allegations of opaqueness. In fact, the decision to make public collegium resolutions was also taken in order to address such concerns. In the Senior Designation Case (Indira Jaising Vs Supreme Court Of India) the Supreme Court directed that the selection Committee shall interview the shortlisted candidates. It is a welcome move that the Supreme Court Collegium also followed the same direction.